My last get-pushed for a while I am just too busy with my new venture and also I have had almost every change several time. So a break would be good. I was challenged to take 10 pictures of the same thing and post the best. I decided to get this done so I don't fail to find time like I did last week. Plus I think I can use this in my scrapping. @tdaug80 Here is my answer to your challenge. Good idea Joan to combine the two projects Joan- but also a wise decision to focus on one over the other. Daffodils are my favorite so I think you picked an excellent subject! Great colour! Daffodils are so cheerful feeling. The challenge was to take 10 unique photos of a single object. I trust that you didn't just repeat the same shot 10 times. But, as we always say here on 365. Your project, your rules. 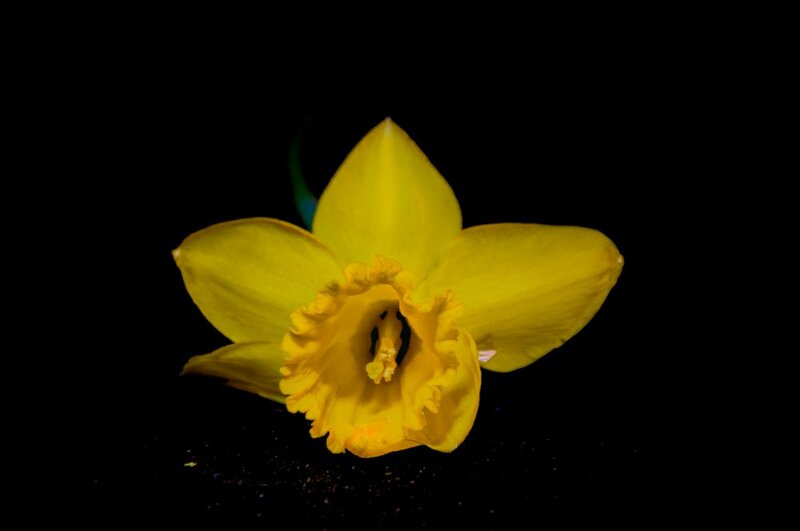 @tdaug80 I might have cheated in I tried different daffodils and tried shooting some times two or three. And some of my shots were bad because I used the wrong setting - I just took daffodil to be the same thing. It's lovely against the black!